Making the decision to purchase the mobile transportation of your choice is a big deal. It is a big purchasing decision not only because it is, in fact, big in size but also because it costs a lot of money to buy a new one. When we want something, we tend to be a little impulsive. Once the thought enters your mind, you want it to have it immediately. It can feel negligible if it’s just a random online shopping craving answered, but it is not a very good move for your future finances especially when your impulse buy is an entire car. Car buyers must take the right steps and make the right decisions before they purchase a car. With the right steps and decisions made, it can even save you time and money the day you decide to buy that car. Listed below are some of the ways you can save money when buying a new car. Read on to find out what these are. Research is important when purchasing a car because information is crucial leverage that you can wield against car dealers on the day of purchase. Before you walk into that car dealership, make sure you have done some price comparisons online. You can check car websites and experts on what exactly is the right price range for the car model of your choice. Although you are free to call the car salesperson themselves, it is much easier to research the information online. When you research online, you may also stumble upon important information about the car of your choosing. You could find problems people are frequently experiencing or you can find out better or cheaper alternatives to the model you originally wanted. There is much you can find online before you buy your car. It’s easy and convenient to do so might as well do it in the first place. Just because you want to purchase something does not mean you have to be haphazard about buying it. Unless, of course, if you are a millionaire with a more different concept of what is expensive then feel free to ignore this part. It is very unlikely that you are a millionaire reading this how to save money article. Thus, it is important that you figure out your finances first before purchasing a car. Identify your budget range and stick to it. Usually, the best season to buy cars is during the off-season. The off-season is frequently during the months of April and August so it is best to buy your car during those months. Quick tip: if you’re planning to sell a car, then the peak season is the best time to do it. Also, when you do your research, you are more able to ask for a lower price at the car dealership. Speaking of, do not be afraid to negotiate. At the end of the day, the car salespeople are not the ones making a big purchase so negotiate until you’re satisfied. Your soon-to-be new car is not the only car you should be shopping around for. You should also be looking around for the best price to sell your old car too. This way you have additional cash to contribute to your new car budget. You are not required to sell an old car to the dealership you are buying the new car from. Unless they offer the best deal out there for you, then feel free to do so. However, you need to research more to know better. Again, knowing how much you can sell your car is ammunition during negotiations. Car dealerships are not the only place you can sell them to. Do look online for people willing to buy your car but always be cautious. Speaking of managing your finances before you purchase the car, do think about which payment scheme you prefer before the day of the purchase. There are two options when buying a car: paying with cash or paying with a loan. When you pay with cash, there are no additional charges or fees added to the original price of the car. Also, once you pay everything in cash, you do not have to pay any monthly fees for the car itself afterward. On the other hand, paying via a car loan means you do not have to own a large amount of cash on hand right when you buy it. You can also use the extra cash to put into investments and you get to build a positive credit line in the process. There is also the option to both pay in cash plus with a car loan. This way you can get an even lower interest rate. The decision is ultimately up to you. Gauge how you feel about any of the options before you buy the car. When buying a new car, it does not mean it has to be fresh-off-the-factory new. A pre-owned car can also feel quite new. However, when buying old cars, make sure that they are certified pre-owned cars. These cars have been thoroughly checked for damages and then repaired that is approved by the car manufacturer. Buying a certified pre-owned can save you a significant amount of money with the right timing. Speaking of timing, there is a reason why you should never rush when making big decisions such as a car purchase. One of which is that it can save you money. We’ve covered previously about playing around with the off-season and peak season of car selling and purchasing. That is only one way of playing around with timing. You can also wait for special discounts lurking around. Remember to include discounts and sales in your research so you will be able to take advantage of these sales. Once you’re at the dealership and they hand you the bill, don’t just look at the total, nod your head, and take the car home. Carefully peruse the bill to find out if there are any additional fees that the dealership may have included. Some dealerships add unnecessary payments to your new car’s bill so it is best to be safe than sorry. Check your bill before paying and negotiate when you find something is off. On the whole, saving money for your car purchases is all about pre-emptive actions rather than present actions on the day of the purchase. 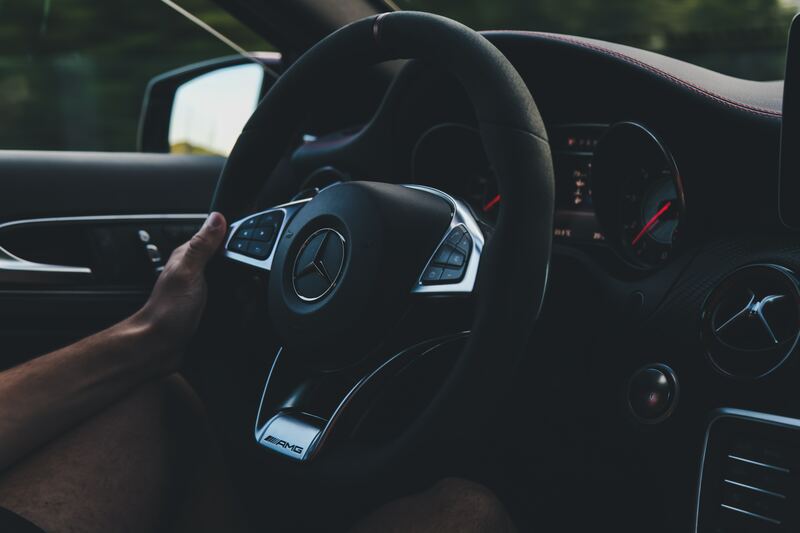 When you do your research and support your actions with them, purchasing your new car will be an easier and quicker process than you’ll expect.